Check out this new Vue.js application made using single file components, webpack, vue-router and a few other technologies. 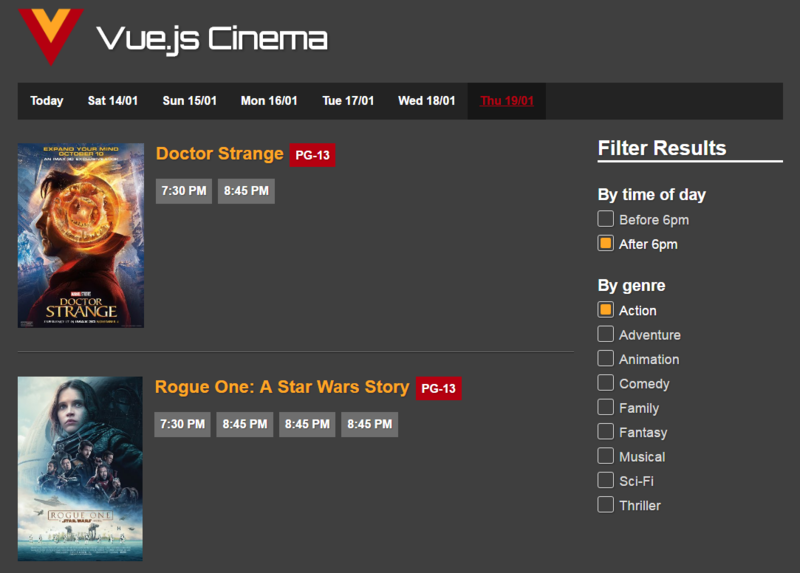 Play around to see how you can apply filters to search by the time of day you would like to catch a movie and the genre you like (action, animation, fantasy etc.). Also, the movie times are divided by days, the listings are until the 19th of January, and displays rates for each movie R, PG-13 and more. Posted in the Facebook group Vue.js Developers.